Sometimes a taxpayer finds themselves in the position where they can’t pay their tax liability. Those taxpayers may come to us and ask us if they qualify to have their taxes discharged in bankruptcy. Our reply is that while we do help taxpayers deal with resolving their tax debt, they are best advised to consult with an attorney to investigate the bankruptcy option. You see, only legal counsel, or someone admitted to practice before the tax court, can represent a taxpayer in tax court. With that being said, we typically help taxpayers with administrative tax resolution methods, which the client should pursue first. These include innocent spouse relief, a request for abatement of penalties, an installment agreement or an offer in compromise (OIC). However, if those options are insufficient, bankruptcy may be the best way for a taxpayer to either secure a reasonable payment plan (Chapter 11 or Chapter 13) or to liquidate their assets to pay off all or a portion of their tax debt (Chapter 7). Using administrative tax resolution methods help a taxpayer avoid having a “black mark” on their credit history. However, a federal tax lien listed on the debtor’s credit report may damage their credit rating just as much as a bankruptcy notation. Needless to say, if you think you may qualify based on the information shown below, one is advised to contact an attorney who specializes in bankruptcy law. What tax debts may be discharged in bankruptcy? More than three years must have elapsed since the tax return generating the liability was due, including extensions. The tax return must have been filed more than two years earlier than the bankruptcy petition (generally applicable to late-filed returns). Note, however, that IRS-prepared substitute for returns (SFRs) are not considered filed returns for this purpose, and thus a tax liability assessed from them would not be subject to discharge (IRC § 6020(b)). At least 240 days must have elapsed since the date of an IRS assessment (generally applicable to audit adjustments and amended returns). This time frame is extended by an OIC. Liquidation. A filing under Chapter 7 liquidates assets that are not exempted under federal or state law and distributes pro rata amounts to unsecured creditors. (Keep in mind that proceeds from the forced sale of nonexempt assets in a liquidation bankruptcy may be significantly less than in an arm’s-length transaction outside of bankruptcy.) Any unsecured debts remaining after such distribution are discharged, including certain tax debts. The court forces all creditors (including the IRS) to accept the proceeds of the liquidation in full settlement of all dischargeable liabilities included in the petition. However, a tax lien recorded before the bankruptcy was filed survives the bankruptcy to the extent it attaches to property owned by the debtor at the time of the bankruptcy. Eligibility for a Chapter 7 bankruptcy is limited to debtors whose income is below a “means tested” amount or whose “non-consumer” debts exceed their “consumer” debts. Deferred payment plans. This type of filing (Chapter 11 for individuals or Chapter 13 for businesses) forces a payment plan on debtors through a trustee. Creditors (again, including the IRS) must accept an installment schedule that pays at least as much of the dischargeable debt as would have been paid in a Chapter 7 proceeding, and which fully pays all secured and priority creditors within five years (11 USC § 1322). Nondischargeable taxes are often priority debts, which must be paid in full over the life of the plan. 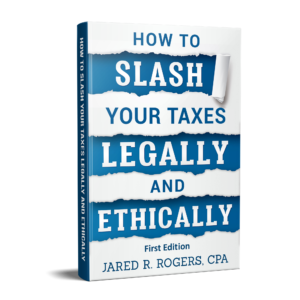 To qualify for Chapter 13, the debtor must have a steady stream of income: Wages, Social Security, pension payments and receipts of an independent contractor all qualify. In order to be dischargable in bankruptcy, the taxes generally have to be “old” in nature. The primary “tax-related” downside to filing for bankruptcy protection is the additional collection time it allows the IRS. Once taxes are assessed, the IRS normally has a total of 10 years to collect them, along with penalties and interest. Therefore, once a bankruptcy case is over, the IRS will retain whatever time remained on the original 10 years, plus the time the bankruptcy case was pending, plus an additional six months (IRC 6503(h)(2)). This entry was posted in Tax Talk and tagged are federal taxes bankruptable, Bankruptcy Basics, chapter 7 bankruptcy and filing taxes, chapter 7 bankruptcy and income taxes, chapter 7 bankruptcy tax consequences, discharge tax debt in chapter 13, Discharging Taxes In Bankruptcy, does bankruptcy cover federal taxes, IRC section 507(a)(8), IRC section 523(a)(1), IRC section 6020(b), IRC section 6503(h)(2), taxes and bankruptcy on September 5, 2016 by Administrator.